The crownflower seeds I planted at the beginning of August have sprouted. 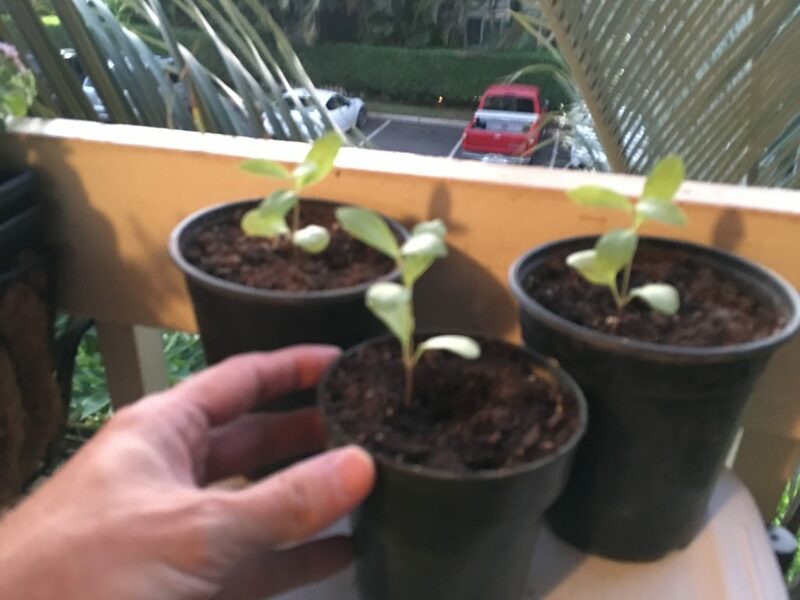 I had left them in the seed-starting tray for a while, but I finally transferred some of them to larger pots. It feels like they’re growing slowly, but I guess they really aren’t. I only planted them six weeks ago. The picture is blurry because I didn’t take the picture until dusk. Isn’t it amazing how those tiny little plants will become actual trees? Sprouts are the weakling kittens of the plant world.